SINGAPORE – Derisive online posts that brought a nation’s wrath down on one man, a video with the "yeeks" factor, and Facebook rants that backfired. This basically sums up the top social media stories which broke online and went on to hog headlines in Singapore this year. In some cases, it started out with a social media post that got people talking. In others, it was a piece of raw footage that galvanised public opinion and resuscitated perennial issues. What is clear from these impactful social media stories is that whatever happens online could lead to serious real life consequences. The Sim Lim Square saga topped our list of Top social media stories that broke the Internet for Singapore in 2014. It exposed shady practices at Sim Lim, and prompted a rethink of existing laws to better safeguards the interests of consumers. The spark: There was some buzz online after news broke on Nov 1 that a mobile phone shop, ordered by the Small Claims Tribunal to refund $1,010 to a woman, paid her back the amount in coins. But it was nothing compared to the furore set off three days later by a report detailing how another customer, Vietnamese tourist Pham Van Thoai, knelt down at Mobile Air to beg for his money back. The incident, which first appeared in Lianhe Zaobao, enraged netizens. A video of the incident was sent to citizen journalism website Stomp, and fed the media frenzy. More victims came forward with their accounts of how they were cheated by shops at Sim Lim. The flare up: The reaction was three-fold. Offers of help for Mr Thoai flooded in, and a crowdfunding campaign by entrepreneur Gabriel Kang raised more than US$12,000 for the Vietnamese man. The incident and Mr Kang’s campaign made international headlines. Indignation at the outrageous actions of Mobile Air staff boiled over. Overnight, Mobile Air boss Jover Chew became public enemy no. 1. He was pranked and harassed, and his private photographs were splashed online. What followed were calls to deal with the errant retailers at Sim Lim Square, and for consumer protection to be improved. The aftermath: Raids were conducted on some shops at the mall, and the management of the IT mall is looking into changing its bylaws so that landlords would have to kick out tenants who run dishonest businesses. Meanwhile, the Government is studying ways to enhance the Consumer Protection (Fair Trading) Act. The spark: A Facebook post in July by library patron Teo Kai Loon opened another front in the increasingly belligerent clashes between liberals and conservatives over societal norms and values. Mr Teo was celebrating the fact that the National Library Board (NLB) removed two children’s books from its catalogue after he wrote in to complain that they were not “pro-family”. 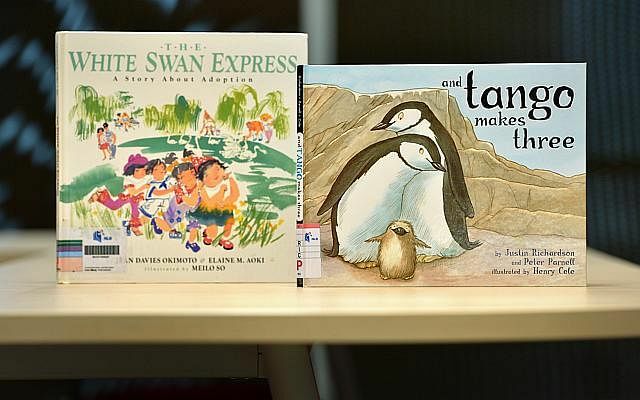 One of the books, And Tango Makes Three, features two male penguins that adopt a baby penguin; The White Swan Express: A Story About Adoption, features adoptive parents such as a lesbian couple adopting a baby from China. The flare up: Many were alarmed at the removal of the books, and were enraged when NLB later said the books will be pulped. There were two petitions calling for NLB to reinstate the books, and a reading event where the banned books were shared among parents and their children. But those supporting the removal of the books also spoke up in large numbers. Writers pulled out of events related to the NLB, such as the Singapore Literature Prize. The aftermath: The books were returned to the shelves - in the adult section. The spark: Mr Ryan Keith Smith posted on Facebook a video of rats scurrying all over a slope beside Bukit Batok MRT station on Dec 16. The resident of the area also sent photos and an e-mail to alert the authorities about the issue. Post by Ryan Keith Smith. The flare up: The video raised cries of disgust all round, and brought pest controllers down on the rodents a day after The Straits Times reported on it. Authorities issued a statement saying that the rat infestations will not stop unless people stop feeding stray dogs and leaving food around for the rodents to feast on. Dog lovers and some members of the public are dismayed that stray dogs and their feeders are being targeted. The aftermath: The operation to exterminate all the rats is ongoing and will take three weeks to complete. The infestation was worse than expected, said one pest buster. The spark: In a video clip that was circulated widely, protesters at Hong Lim Park demonstrated in front of a stage where a group of special needs children was about to start a dance item. The protesters were from the Return Our CPF rally which was held on the same day (Sept 27) as the YMCA Proms @ The Park, a carnival for the less-privileged. A video of rally organiser Han Hui Hui arguing with an NParks officer went viral as well. The flare up: The clips drew negative responses from netizens. Manpower Minister Tan Chuan-Jin said of the episode in a Facebook post: "I am appalled. We now heckle special needs children? Vile. Total and absolute disgrace." The protesters said they were not heckling the children, as some accused them of doing. Blogger Roy Ngerng offered to apologise to the children, but their parents refused to let him meet them. The aftermath: Rally organisers Roy Ngerng and Han Hui Hui are among six charged with being a public nuisance at Hong Lim Park on Sept 27. The court case is ongoing. The flare up: There was national outrage. 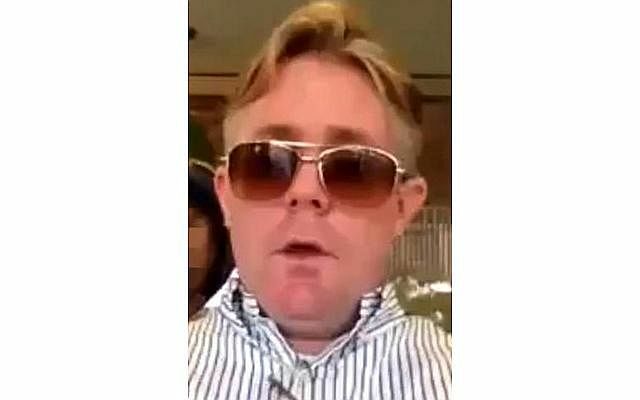 Mr Casey received insults and death threats, some of which were directed at his wife, former Miss Singapore Bernice Wong, and their son. Most of it does not bear repeating. Some suggested that Singaporeans may have over-reacted, and criticised the online vitriol directed at his family. The aftermath: Mr Casey apologised to Singaporeans, but it was not enough to stem the tide of criticism. He and his family left for Perth for a while, and he had to leave his job as a senior wealth manager with Crossinvest Asia. The spark: Student Yap Huixin, posted a comment on Starbucks’ Facebook on Oct 26, complaining that her belongings were "kept in a basket" by a Starbucks staff, and that their drinks thrown away after she and her friends left the CityLink Mall outlet for half an hour. They asked for their drinks to be replaced, and were given half-filled cups. She acknowledged that they were hogging seats at the cafe, but she was unhappy that the manager had given her a dressing-down, and demanded an explanation from the Starbucks management. The flare up: Facebook users responded by lecturing the secondary school student further, with comments such as “be grateful your things did not end up in a bin”, and “cheers to the Starbucks manager for making you grow up”. A debate about how far restaurants should go in accommodating students who hog seats ensued. Ninety-six per cent of more than 11,000 Straits Times readers polled said that what Starbucks did was right. The aftermath: Ms Yap apologised for her actions after being counselled by her school.